When I spoke at Camp Dixie last weekend, I was given the theme “Submerge,” which was focused on God’s deep love for us. 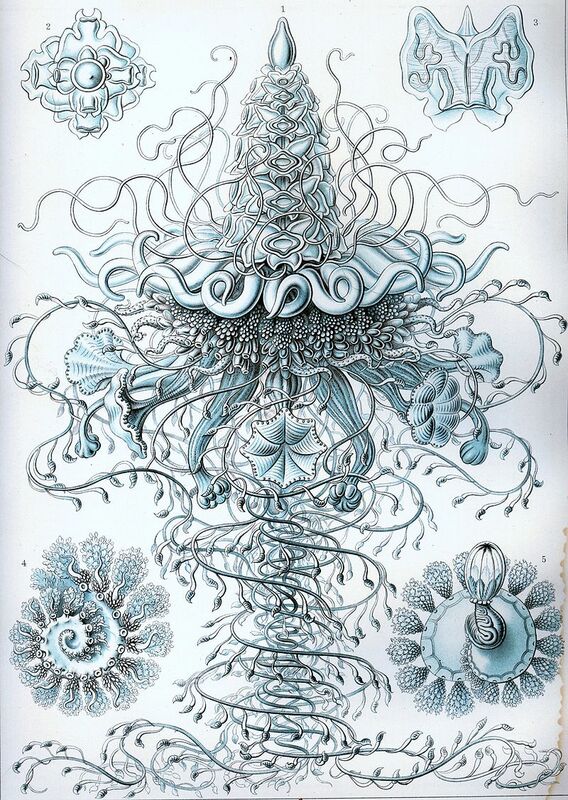 As I was pondering some topics to go along with that, I learned a little bit about the creatures of the deep ocean. By the way, scientists say that we know more about outer space than we do about our own ocean. It is so deep and vast that it will take a very long time to chart it and discover it the way we have our own land. There are creatures found in the deep ocean called Siphonophores (an order of Hydrozoa). They baffle scientists because while each one appears to be a large creature (some get up to over 150 feet long), the large “creature” is actually a colony of many individual animals playing different parts and roles in the whole “creature.” This is different than say, our bodies, which are made up of different parts and cells. These are entirely individual creatures working together to form one large creature! That got me thinking about when Paul says that we are one body with many parts (1 Corinthians 12). 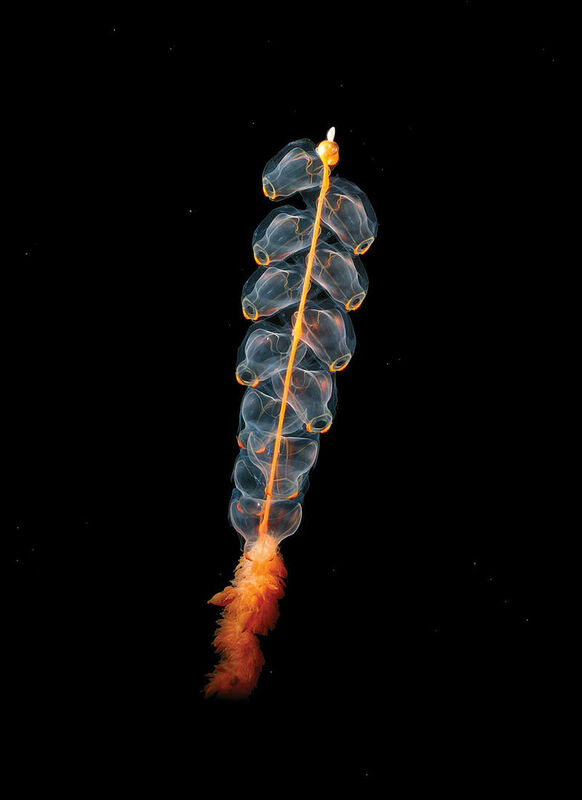 The siphonophore is a great metaphor because each animal has a particular part to play and is a part of something bigger than itself. In fact, “most of the zooids are so specialized, they lack the ability to survive on their own” (Siphonophorae, Wikipedia article, 2015). I happen to be a juggler and a public speaker. But there are many things I cannot do or cannot do well (like shoot a basketball or perform surgery or cook a turkey). Sometimes I wish I could do it all, but then I remember that God made me with certain gifts and not others. It is my responsibility to pursue excellence at the things God has gifted me with and celebrate and encourage the many gifts in those around me. When we come together, there is an unstoppable synergy that becomes the force of Christ’s body on earth advancing the Kingdom of God. Here is what Paul says to the church in Corinth…..
1Cor. 12:12 The body is a unit, though it is made up of many parts; and though all its parts are many, they form one body. So it is with Christ. 13 For we were all baptized by one Spirit into one body — whether Jews or Greeks, slave or free — and we were all given the one Spirit to drink. 1Cor. 12:14 Now the body is not made up of one part but of many. 15 If the foot should say, “Because I am not a hand, I do not belong to the body,” it would not for that reason cease to be part of the body. 16 And if the ear should say, “Because I am not an eye, I do not belong to the body,” it would not for that reason cease to be part of the body. 17 If the whole body were an eye, where would the sense of hearing be? If the whole body were an ear, where would the sense of smell be? 18 But in fact God has arranged the parts in the body, every one of them, just as he wanted them to be. 19 If they were all one part, where would the body be? 20 As it is, there are many parts, but one body. 1Cor. 12:21 The eye cannot say to the hand, “I don’t need you!” And the head cannot say to the feet, “I don’t need you!” 22 On the contrary, those parts of the body that seem to be weaker are indispensable, 23 and the parts that we think are less honorable we treat with special honor. And the parts that are unpresentable are treated with special modesty, 24 while our presentable parts need no special treatment. But God has combined the members of the body and has given greater honor to the parts that lacked it, 25 so that there should be no division in the body, but that its parts should have equal concern for each other. 26 If one part suffers, every part suffers with it; if one part is honored, every part rejoices with it. 1Cor. 12:27 Now you are the body of Christ, and each one of you is a part of it. 28 And in the church God has appointed first of all apostles, second prophets, third teachers, then workers of miracles, also those having gifts of healing, those able to help others, those with gifts of administration, and those speaking in different kinds of tongues. 29 Are all apostles? Are all prophets? Are all teachers? Do all work miracles? 30 Do all have gifts of healing? Do all speak in tongues? Do all interpret? 31a But eagerly desire the greater gifts.